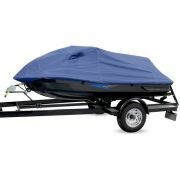 Trailerable Custom Fit Sea Doo Cover by Covercraft. Provides maximum UV protection. Durable stitch on Ultra'Tect material.